Tamil Cinema was revolving around Four Walls for along time and all the movie were Family oriented and hard subject stories. Then came a Change i would say a revolution.I hope BARATHIRAJA was the first person who changed the FOUR WALL subject and took the cameras to VILLAGES and started to make movies on FEELINGS and DREAMS of an ordinary human. I really appreciate his Service to the movie field.The story starts with a Young Good Looking Village girl MAYIL (MY ALL TIME DREAM GIRL SREE DEVI) dreaming to become a Teacher. Her mom GANDHIMATHI who is a widow and is a Village Roudi. All that she does is fight with females in that Village which really affects our Dream girl Sree Devi. One must see SREE DEVI's acting when she Jumps with happiness when she is done with her 10th Standard.CHAPPANI (KAMAL) gets introduced as a innocent and Half Crack guy who works for SREE's mom doing the needful for the family and for the village people. His primary job is to give an OIL Massage to PATTARAI (RAJINI) who gets all information about SREE DEVI and about Village people. 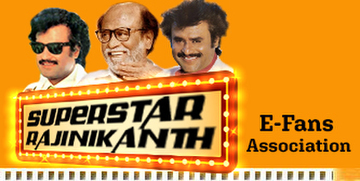 One must see how all these three legends (RAJINI, KAMAL, SREE DEVI) has acted in this movie. Really Fantastic and great. Especially in a village festival when RAJINI sees SREE DEVI in a PAVADAI and when his friends say "LOOK At MAYIL how beautiful she is in her PAVADAI" RAJINI in turn will reply "AVALU KENNA AV ATHALUKU PAVADA POTTA KUDA NALA IRRUKUM"The story runs without a single deviation and without any overacting which really made me cry seeing the Talents at their best on my Screens. KAMAL dreams marrying SREE DEVI as KURUVAMMA (GANDHI MATHI) calls KAMAL as "MARUMAGANE" !! But our SREE who has much better dreams falls in LOVE with a Veterinary Doctor who visits the Village who looks like a "SAIDAPET SONGI" with a SODA BODDI GLASS and BELL BOTTOM PANT. Sree gets attracted to his modern Life and she starts her dream !! She even ignores her TEACHER JOB which was her long time ambition in life for her IMAGINARY DREAM with the doctor.The Dream World of the sad Village girl comes to an end when that Stupid Ugly Looking Irritating Doctor says that "HE DIDNT LOVE HER AND SHE JUST LOVED HER AGE" !! I really felt like slapping that guy. Then KAMAL Takes care of the family and asking MAYIL not to worry ! Then comes the Directors talent who made us to FLY IN DREAMS for 1 1/2 HOURS make us to CRY FOR another ONE HOUR as KURUVAMMA (Sree Devi's Mom) dies. VILLAN RAJINI whose aim is to SLEEP with SREE DEVI once gets into the house when she was Sleeping and At last KAMAL kills RAJINI by throwing a big stone and the DREAM AND EMOTIONS die and the Story ends. Punch Dialogue : Idhu Eppadi Irukku............ How is it?